Donating a car or vehicle to Big Brothers Big Sisters of Colorado is an easy process and is tax deductible. Your car donation helps support our charitable mission, which is to provide children facing adversity with strong and enduring, professionally supported one-to-one relationships that change their lives for the better, forever. By partnering with parents/guardians, volunteers and others in the community we are accountable for each child in our program achieving higher aspirations, greater confidence, building better relationships, having educational success all the while avoiding risky behaviors. In 2017, Big Brothers Big Sisters of Colorado will support nearly 2,100 one-to-one mentoring relationships between children facing adversity and adult volunteer mentors. These mentoring relationships will impact youth by helping them to improve their sense of self-worth, form a positive relationship with peers and family, achieve educational success while avoiding risky or delinquent behavior. 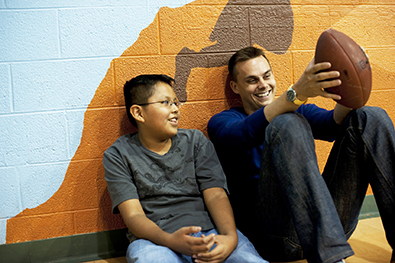 As an organization dedicated to inclusiveness, Big Brothers Big Sisters of Colorado values and celebrates the diversity and individuality of every child, volunteer, employee, board member, family, and community partner. For more information about Big Brothers Big Sisters of Colorado, you can visit their website at http://www.biglittlecolorado.org/. Donate your car today using our online form below or call us at 866-701-2277 (CARS). Your car donation will provide needed support to Big Brothers Big Sisters and you can feel great about donating a car to charity.